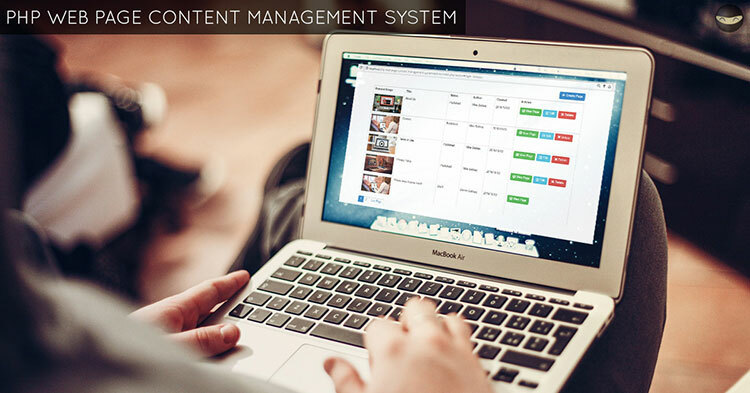 PHP Web Page Content Management System - Download Now! 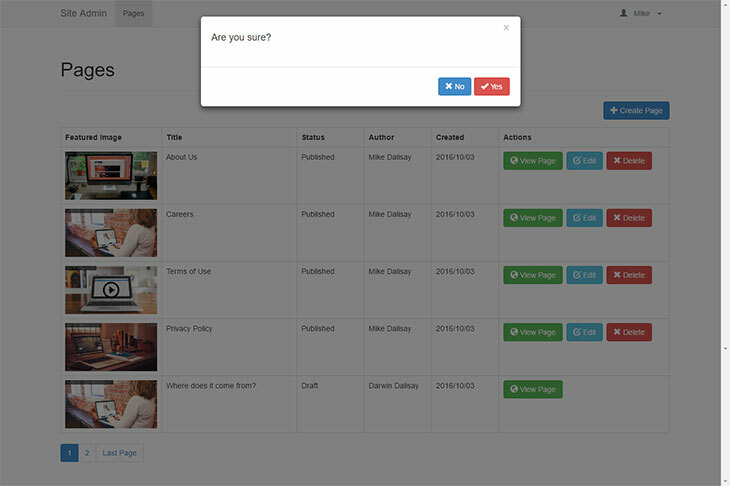 Looking for PHP Contact Form Script? Click Here. 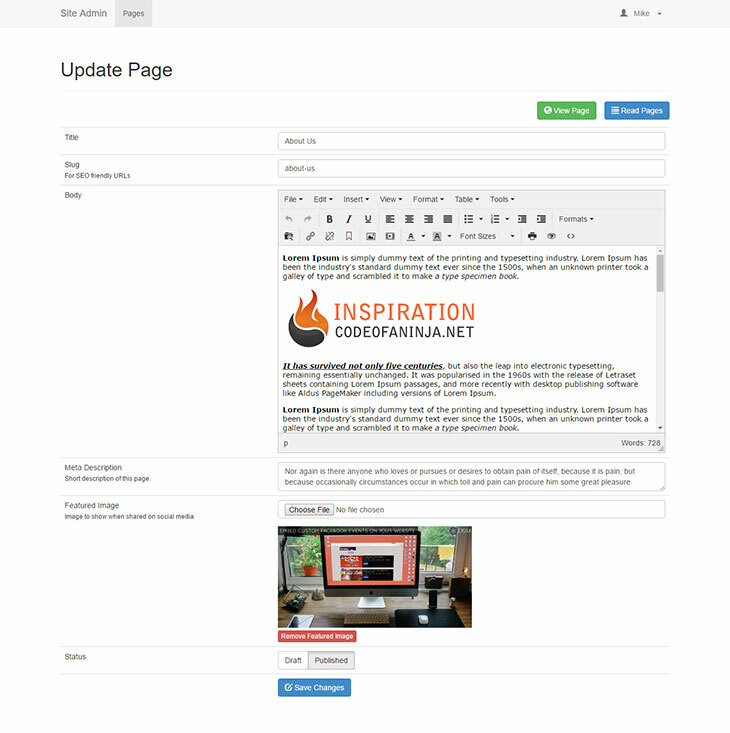 Download and learn how this simple PHP Web Page Content Management System was made. Technologies used include PHP OOP, MySQL, Bootstrap and jQuery. 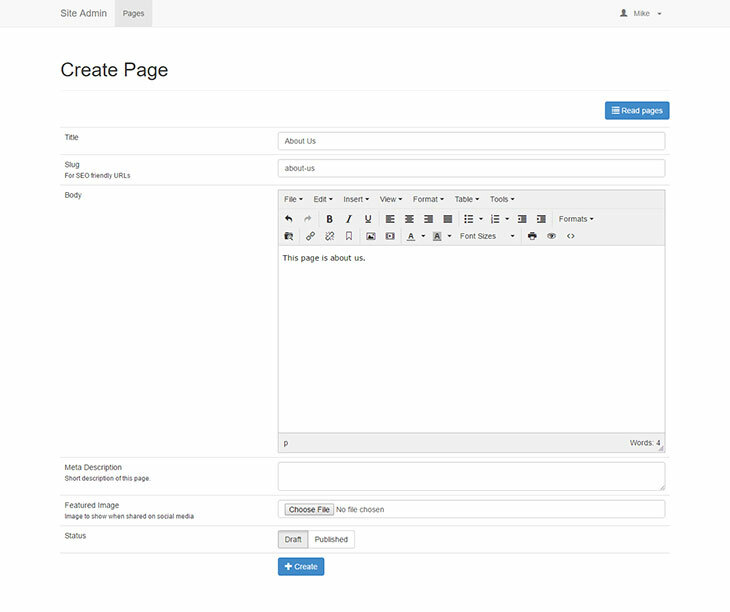 This source code will enable you to manage a dynamic web page content. You can format the content the way you want it. 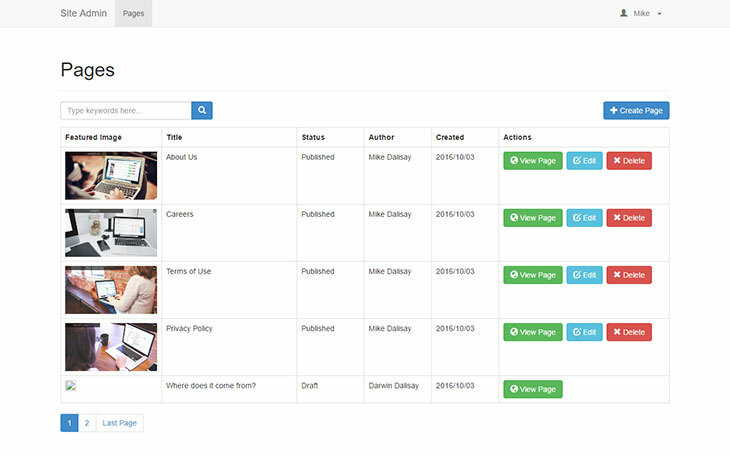 Put links, files, images, texts and more on your web page. Some include: How to use a rich text editor with a file manager and browser, coding an SEO-friendly web page, file upload and deletion, system user restrictions and more! You can see the detailed list of features on section 6.0 below. This source code is a very good starting point if you're trying to build your own PHP Web Page Content Management System (CMS) and add some more complex features later. 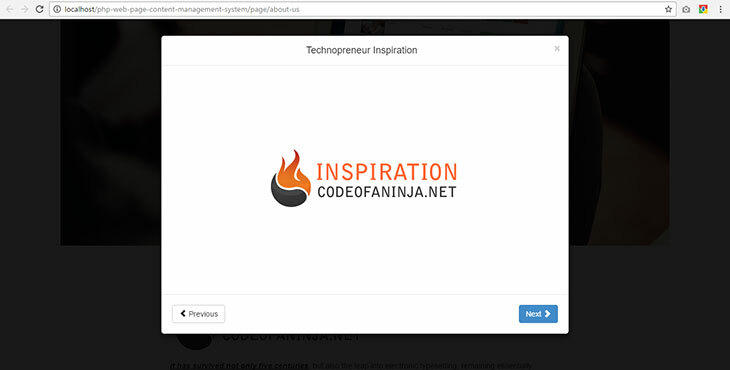 If you need the live demo link, send a request to mike@codeofaninja.com with subject "DEMO Request: PHP Web Page Content Management System", thank you! 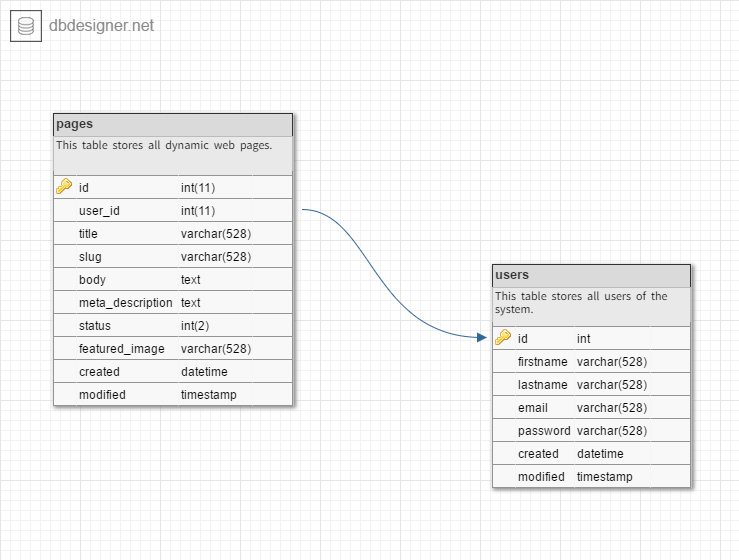 Our database name will be "php_web_page_cms", and we will have two tables: Pages and Users. 3. Import the SQL file called "php_web_page_cms.sql" located in the "dev" folder. 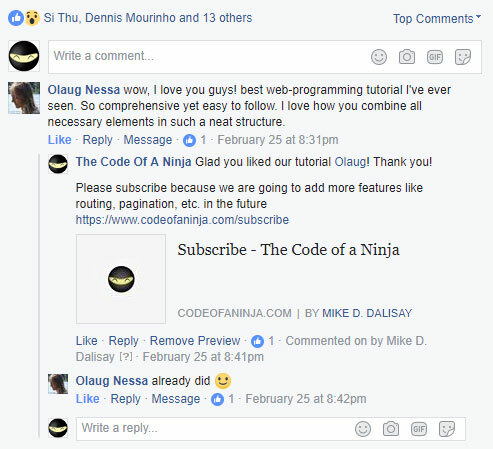 Thank you for reading about this PHP Web Page Content Management System source code and supporting our projects here at codeofaninja.com!